The first year that I attempted to design accessories, I would sometimes hear from lovely ladies that my work was very Anthropologie. Not knowing what this Anthropologie was, I decided to take it as a nice compliment and continue creating as usual. While living in Portland, I discovered a catalog with the most exquisite treasures and absolutely gorgeous photographs of coveted creations. At that point everything made perfect sense and it was my goal to somehow connect with this ethereal company. 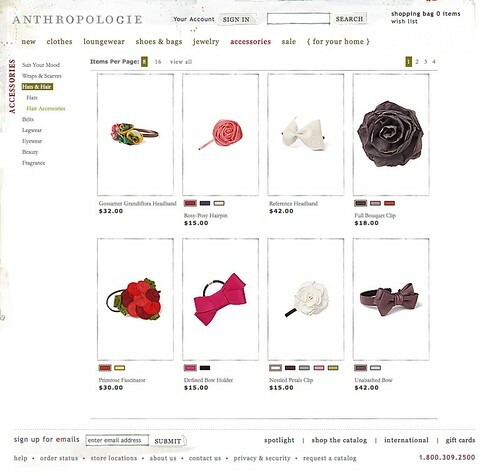 I am overwhelmed with glee to mention that the Rosette Fascinator is now a part of the Anthropologie catalog. It is called the Primrose Fascinator and it is available in Raspberry, which is actually The Valentine, and Gold, which is just a hair different than The Harvest. 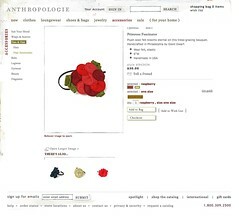 Anthropologie contacted me in late February asking if I wanted to partner with them and discuss future possibilities of using one of my designs. They asked for samples of the Rosette Fascinator, which I happily sent, and after a brief waiting period, I received a promising proposition. I was frightened and flattered at the same time, but after careful consideration and deliberation, I decided to take the offer. 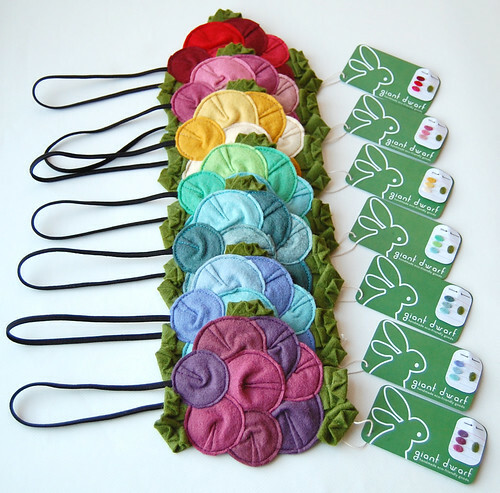 The initial order was for 50 fascinators, in two color ways, totaling 100 pieces to test on their website. If they would prove to be a success, they would order more to place in their top-selling stores around the country. I was overwhelmed, but confident I could make 100 of them. The very next day, they ordered 500, but I decided to stick with making only 100 pieces. The order of 100 took a little over a month to complete, and as it is not always easy to make the same thing over and over, it was totally worth it. I have to give major credit to Nate for cutting all of the petals, all 800 of them, and snipping all of the threads, which I'm sure is into the thousands. He is amazing and I couldn't have done it without him! I also have to thank Nate's mom, Nancy, for sourcing + supplying the elastic headbands that I use to make the fascinators. Halfway through production I ran out of them and couldn't find them anywhere in Philly. For some reason, in the tiniest of towns in Vermont, she scored the motherload! After the tracing, cutting, sewing, and snipping was all taken care of, the final step was packaging. 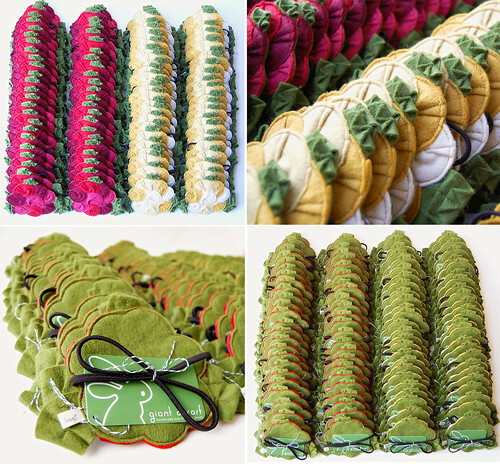 Each fascinator had to be individually wrapped in protective plastic then shipped to Anthropologie's catalog warehouse for distribution. I decided to go a step further in the packaging process, because really, this was a chance of a lifetime and I wanted to make each and every one that much sweeter. I decided to use the ever-popular baker's twine, but in green + white, to string my hang tags and tie the elastic headbands with. I think it made such a difference and it was really fun to knot all of those adorable bows. I'm a huge fan of packaging + presentation and I'm so glad I added a little extra magic to each piece! This adventure has been a valuable learning experience and really is a dream come true for me + my tiny company to be included in such a lovely catalog of beautiful things! That is AMAZING! I can't believe you made 500. I am so impressed! Good for you. Congratulations!! That has got to be so exciting!! That is GREAT! I'm not surprised at all, your stuff is beautiful and I can't imagine anyone NOT wanting one! woah sue! that is great. congratulations! 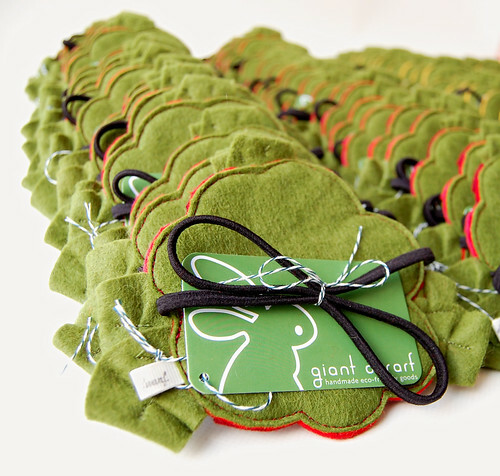 sewing 500 of the same thing would make me mental--i'm impressed! Hi..I love your work and your story is wonderful, and a tribute to your design and art..What will you do if they call you, and ask you to make 1,000? in time for the holidays? NO WAY!!!! You've really made it now girl! Call me next time. I'd be happy to cut leaves and trim threads. how lovely and wonderfully delightful! look at all your hard work! congratulations! SO AWESOME! I couldn't be prouder. YAY! congratulations again, this is so wonderful for you and totally makes me smile! Congratulations! It is great to see a Philly company doing something good with a Philly girl. once in a lifetime indeed and what a wonderful thing it is!!! What a fantastic and truly deserved opportunity, Sue!! Congratulations! I saw your fascinators online at Anthropolgie and was just, so, so excited for you! Congrats! Congrats! I love the design! i just picked one of your lovely fascinators up at my local anthropologie (in irvine, southern california) and am IN LOVE with it. i look forward to picking one up in every color from your etsy shop!! altogether delightful. How wonderful for you. 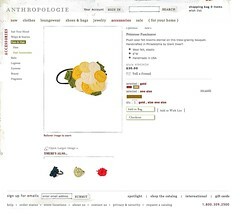 anthropologie is my favorite shop and I can see why they loved them. I actually saw your work at Art vs. Craft this past November in Milwaukee. You have an amazing talent. Congratulations. It's inspiring to hear your story. so great! congrats and I actually just got mine in the mail from Anthro! LOVE IT! This is my first time commenting in your blog. Actually, I just got one of your fascinator (from Anthro) and really really impressed by the work and craft, so when I flipped the hang tag and found your blog address, I started to read from start to the end. Honestly, I think your work and craftmanship are awesome... now I know why you mentioned that it's a eco-friendly piece. I love the idea of doing everything by hand, and $30 a piece isn't overpriced (honestly, most of the fashion brands in the market usually mark up their price). Can't wait to see more of your product on Anthro's website. What a wonderful story! Congrats on the order and landing an awesome store. 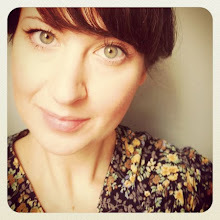 It's so great to hear success stories from fellow crafters, and how they handle unique opportunities like this to get there work out to a broader audience. I just found your blog via SHIH, and am so glad I did. Wonderful work! Keep it up! What a wonderful opportunity, and well deserved I might add, your products are really great. I appreciated your telling this story. We so often hear horror stories about large companies ripping off the small entrepreneur and designers living in fear of that possibility. It's really great to read about your very pleasant experience. Congratulations. how amazing! congratulations to you, both on landing the contract, and fulfilling the order. Upscaling can be an issue for crafters and artists at times. best of luck with this new venture, and thanks for sharing such your fantastic story.